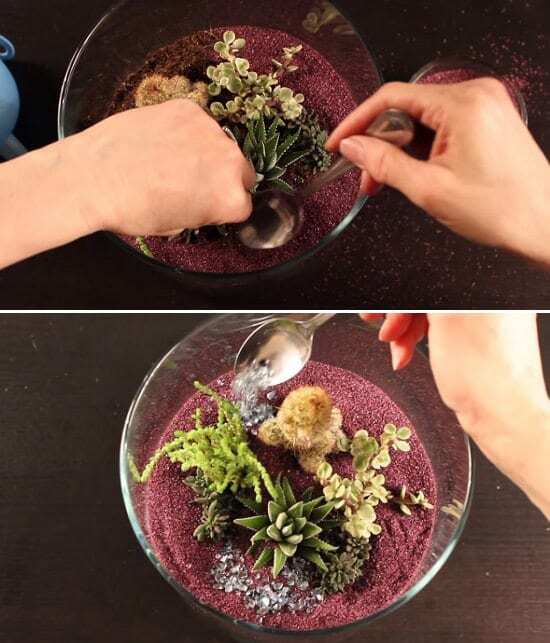 Follow this step-by-step tutorial to make an inexpensive DIY Desert Terrarium to give your indoor garden an anomalous look! 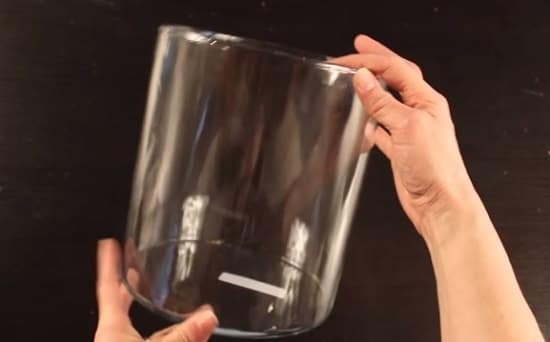 For this project, glass container measuring 8 inches in height and 7 inches in diameter is used. You can choose any other size jar as well. 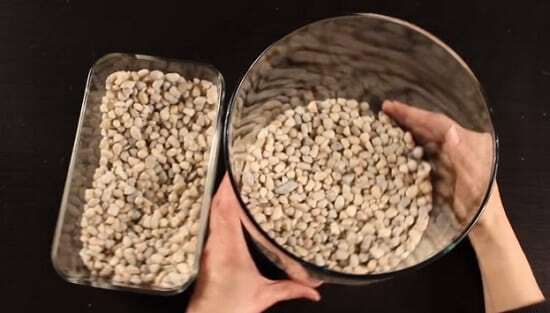 Once you find the right container, fill an inch or two of it with the aquarium gravel. 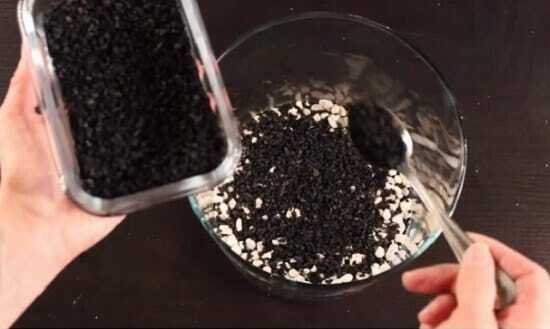 Next, add an even layer of activated charcoal using a spoon. Activated charcoal helps to keep the terrarium fresh and clean all the time! 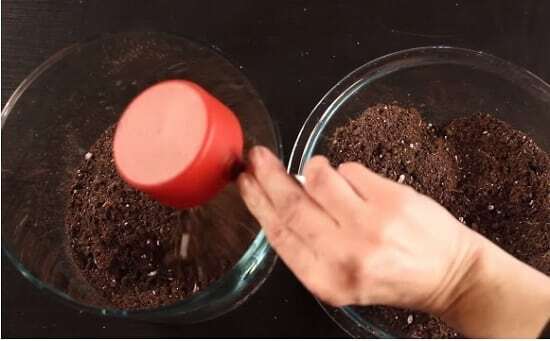 Add potting soil to the container. Be sure to add enough soil so that it covers the roots well. 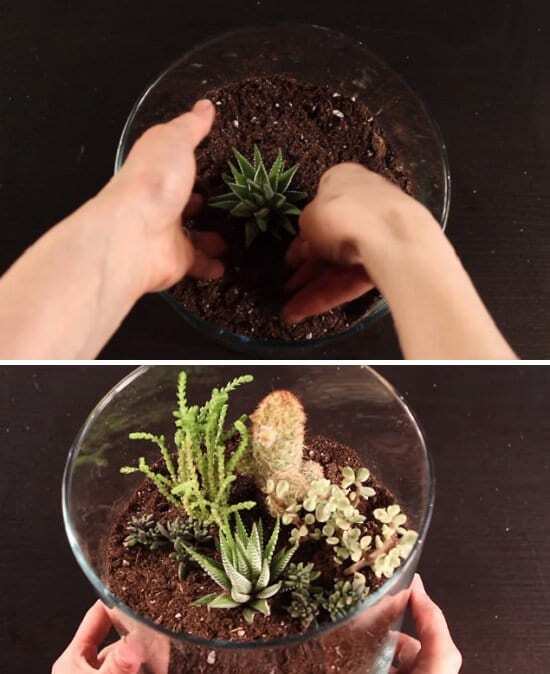 To plant your succulents (cactus and any desert plants), make a hollow dig inside the soil and gently place them inside the terrarium. It depends on you to keep which plant on what side! 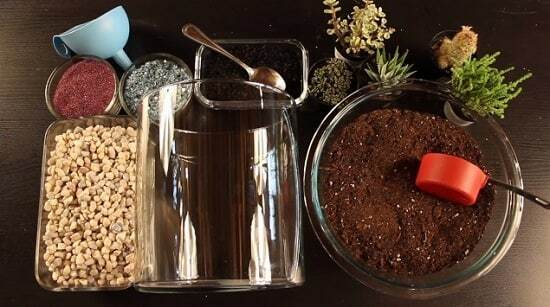 It’s time to decorate your terrarium using colored sand and some crushed glass pieces. 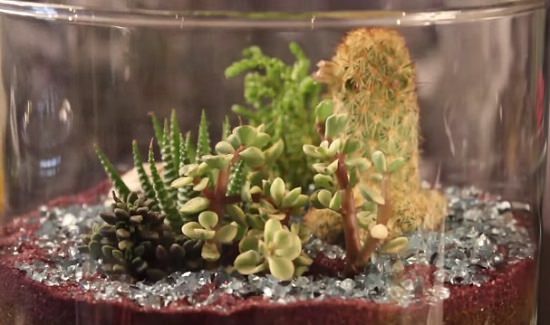 Your inexpensive but beautiful desert terrarium is ready to be the new centerpiece of your tabletop! NOTE: Since they are desert plants water them once in 10-14 days and remember not to over water.